My name is Linda, I am your Hatha Yoga instructor and Reiki Master/teacher at Yoga Farm Italy (Yoga Alliance certified by Akasha Yoga Academy and Usui Reiki certified by Arati Healing Center). Together with my family, I live on our organic farm in Italy where we host people from all over the world. In 2009 I left my home country, the Netherlands, to explore the world. Soon I came across Yoga and Reiki and when I immersed myself into the practice of Hatha Yoga and the magical world of Reiki, my life changed profoundly. Everyday I give Yoga classes at our farm in Italy and for parts of the year I am in the Netherlands and in Thailand. My teachings follow the ancient classical path of Hatha Yoga, going from the body into the complexities of the mind and the depths of the soul. The classes I give vary from physically powerful to more meditative and heart based. I am a caring and serious instructor; it is my passion to share the amazing world of Yoga with everybody who is interested. I give Reiki treatments and chakra balancing treatments to anyone who is interested to receive the beautiful energies of Reiki. During the year I teach Reiki courses, level 1, 2 and 3. Raffaello (but you can call him "Raffa") is a Yoga Alliance certified Yoga teacher. In 2001, he discovered Tantra through a rare text. He has continued to deepen the practice of conscious sexuality in the fifteen years that followed, receiving instruction in the best schools of Tantra and conscious sexuality, including Agama Yoga and ISTA (International School of Temple Arts). In 2014 Raffa created The Network of Love, an international workshop on conscious relationships. In 2016, he authored the book "Conscious Relationships: The Art of Bringing Awareness to Intimacy & Sexuality". Raffa writes regularly on prestigious international journals, such as Elephant Journal, Live Tantra and Omooni. 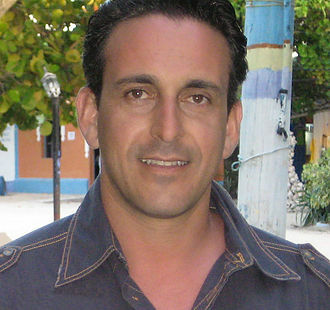 He has designed several video courses on conscious relationships, sexuality and jealousy. 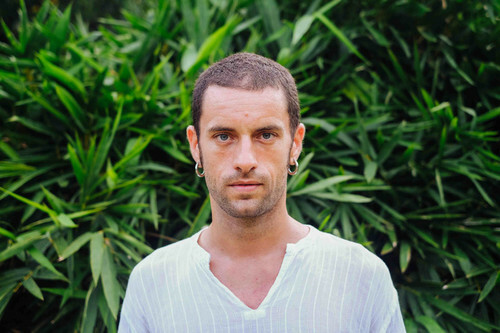 Raffa is renowned for his seriousness and depth both in the teaching of yoga and Eastern philosophy, and also in the work of exploration of sexuality and conscious relationships. His passion is human evolution, in which sexuality and relationships are a key component. 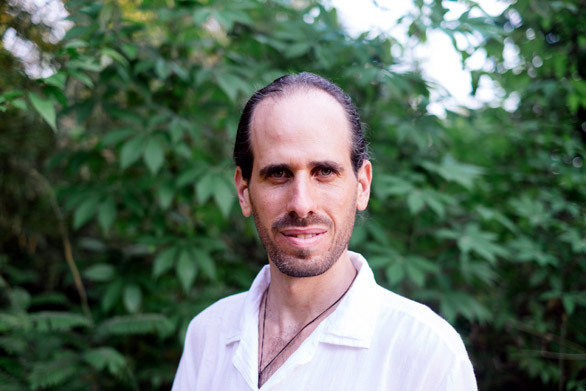 Oren Dotan D.O is an osteopath and the developer of the integrative craniosacral method. 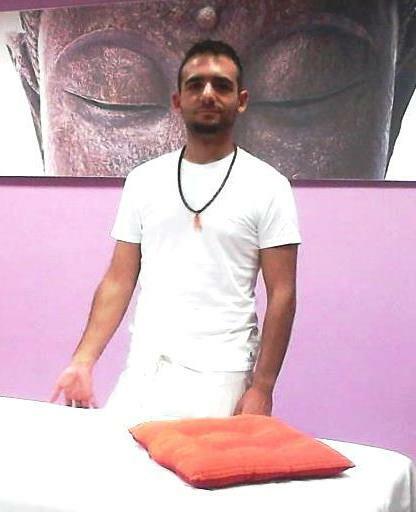 During the last decade, he has studied with the worlds best osteopaths and has studied the fields of osteopathy, craniosacral therapy and yoga. Today, he uses the methods that he has developed for treatment in his clinics in Europe. He holds international workshops and courses for training therapists and yoga teachers. Ioannis Koulanis "Swami Raheem Siddharta"
Ioannis is walking in the spiritual path for many years, as a teacher of “A Course In Miracles”, a Registered Yoga Teacher (RYT) with Yoga Alliance and also a certified reflexologist. He is a Vipassana meditator and a Reiki therapist. Working with NVC he has a strong commitment to bringing the full self, body, mind and spirit, into the therapeutic relationship. He believe that working with the body-mind and emotional connection provides powerful healing opportunities. Techniques include meditation, breathing practices, guided imagery and working with assisted/supported yoga postures accompanied with emotional inquiry and NVC-based dialogue. As he accompanies his clients on their journey, he also incorporates the Expressive Arts and traditional modalities. He has extensive experience working with a wide range of clients who desire change in a varied number of life issues: depression, anxiety, personal fulfilment and expression, relationship challenges and trauma and abuse. Dal 2010 conduce classi di Hatha Yoga con formazione del 1° livello dell'Istituto di Scienze Umane di Roma in Hatha Yoga, Kundalini Yoga, Tantra Yoga, Oki Do Yoga, Yoga-Terapia; ha partecipato a diversi ritiri di meditazione presso l'Istituto Osho Miasto in Toscana ed è assistente di Meditazione Attiva di Osho da 6 anni. E' 1° livello di Reiki metodo tradizionale Usui; specializzato in massaggio meditativo e shirobhyangam (massaggio della testa indiano). Ha fondato nel 2009 l'Associazione Surya Yoga Marga per la diffusione delle discipline indiane e del benessere naturale. Conduce classi di Yoga Integrale e incontri di Meditazione Attiva di Osho da 13 anni; ha ricevuto il 1° e il 2° livello Osho Neo Reiki; è specializzata in diverse tecniche ayurvediche (massaggio, shirodhara, etc.) che insegna anche presso l'Università di Tor Vergata di Roma. La sua passione e lo studio per lo yoga sono nati circa 20 anni fa e la sua formazione è iniziata in Italia con la scuola di Nashyananda e si è approfondita poi in India dove ha vissuto per tre anni, studiando con Kusum Modak (allieva del Maestro yogi Iyengar) e la dottoressa in medicina ayurvedica Urja Anita Rawandale del centro-scuola "Raso Vai" di Morjim (India). Ha conseuito il RYT 200 (Registerd Yoga Teacher) con la Yoga Alliance e il diploma nazionale dell'area olistica e del benessere dello Csen, con iscrizione all'albo nazionale dei tecnici olistici, tramite la formazione con la Scuola Samadhi di Jacopo Ceccarelli. Ha fondato nel 2009 l'Associazione Surya Yoga Marga per la diffusione delle discipline indiane e del benessere naturale.